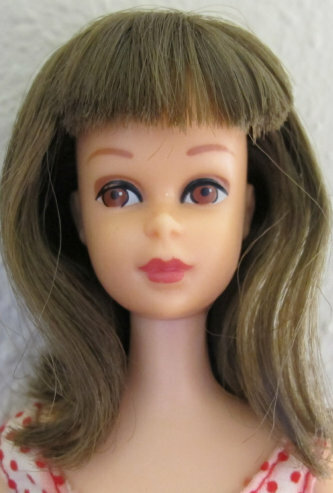 In 1966 #1140 Straight-leg Francie was introduced with brown eyes, painted eye lashes, and a choice of blonde or brunette flip style hair. 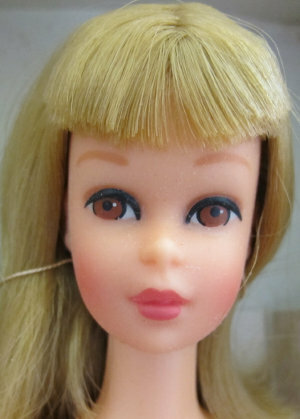 She's was Barbie's teenage cousin, who had just returned from England. 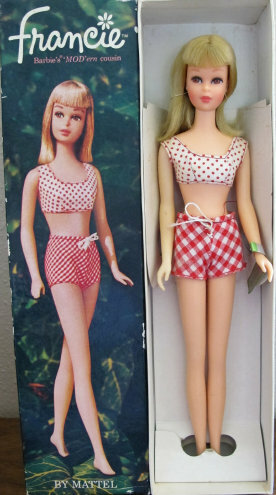 She wears a two-piece swim-suit and has a black wire stand and booklet in the box that she was packaged in. Did you know: the bend-leg Francie was released before straight-leg Straight-leg Francie! #1140 straight-leg (1966-1968) Her swim suit bottoms came in small & large checks.